John Lennon wasn’t just a songwriter, he was a man who inspired millions of people with his wisdom. He yearned for a peaceful world, where only love reigned. Shockingly he died in the most violent way imaginable. It is worth revisiting some of his most famous quotes. Very few modern performers entire back catalogue, could match the impact of one of his quotes. 23. Art is only a way of expressing pain. 22. If everyone demanded peace instead of another television set, then there’d be peace. 19.Life is what happens while you are busy making other plans. 18.Love is the flower you’ve got to let grow. 17. Time you enjoy wasting, was not wasted. 16. As usual, there is a great woman behind every idiot. 15.I believe in everything until it’s disproved. So I believe in fairies, the myths, dragons. It all exists, even if it’s in your mind. Who’s to say that dreams and nightmares aren’t as real as the here and now? 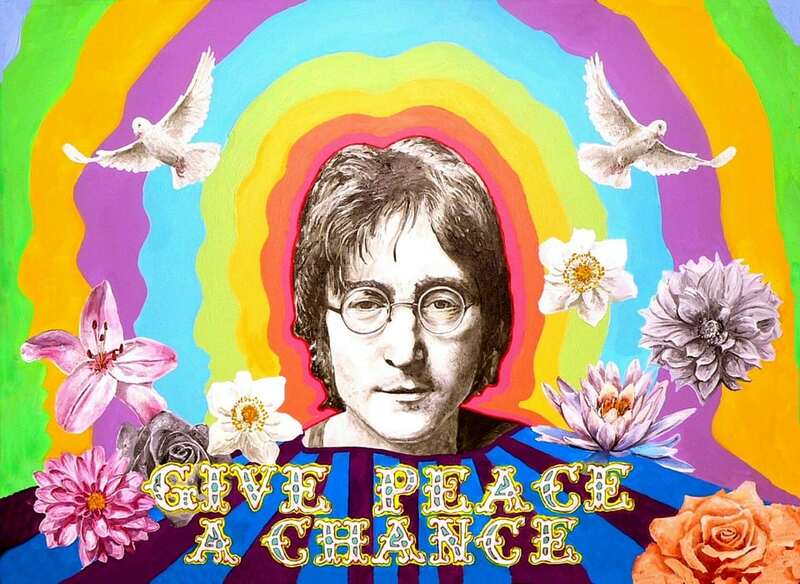 14.If someone thinks that love and peace is a cliche that must have been left behind in the Sixties, that’s his problem. Love and peace are eternal. 13.You don’t need anybody to tell you who you are or what you are. You are what you are! 12.Christianity will go. It will vanish and shrink. I needn’t argue with that; I’m right and I will be proved right. We’re more popular than Jesus now; I don’t know which will go first – rock and roll or Christianity. 11.Surrealism had a great effect on me because then I realised that the imagery in my mind wasn’t insanity. Surrealism to me is reality. 10.Everybody loves you when you’re six foot in the ground. 9.God is a concept by which we measure our pain. 8.Guilt for being rich, and guilt thinking that perhaps love and peace isn’t enough and you have to go and get shot or something. 7.Will the people in the cheaper seats clap your hands? And the rest of you, if you’ll just rattle your jewellery. 6.The thing the sixties did was to show us the possibilities and the responsibility that we all had. It wasn’t the answer. It just gave us a glimpse of the possibility. 5.If you tried to give rock and roll another name, you might call it ‘Chuck Berry’. 4.Possession isn’t nine-tenths of the law. It’s nine-tenths of the problem. 3.We were all on this ship in the sixties, our generation, a ship going to discover the New World. And the Beatles were in the crow’s nest of that ship. 2. If there’s such a thing as genius — I am one. And if there isn’t, I don’t care. 1. Imagine all the people living life in peace. You may say I’m a dreamer, but I’m not the only one. I hope someday you’ll join us, and the world will be as one.